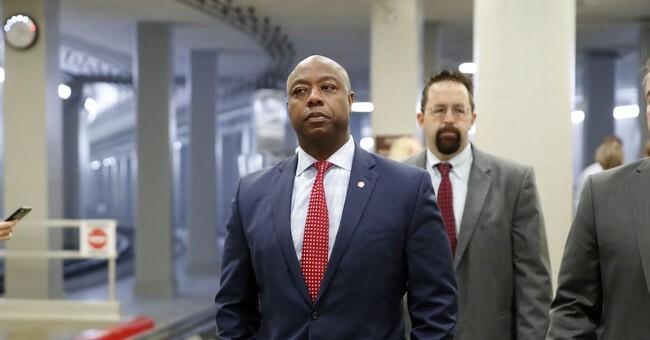 Sen. Tim Scott (R-SC) responded Friday to claims about the unemployment rate that were made this past week by Democratic socialist Alexandria Ocasio-Cortez, who is gaining prominence in the party after her stunning primary victory over fourth-ranking House Democrat Joe Crowley (NY), and similar jobs claims made by Sen. Liz Warren (D-MA). Ocasio-Cortez said in a PBS interview that “Unemployment is low because everyone has two jobs. Unemployment is low because people are working 60, 70, 80 hours a week and can barely feed their family." She has since tried to walk back the remarks by claiming that they were really about low wages. Not to be outdone, progressive Sen. Liz Warren argued that due to low wages people were forced to work "two, three, or four jobs to try to pay the rent and keep food on the table." Sen. Scott told Fox & Friends that such commentary was “theater” and simply cited the number of people working more than one job, according to the latest data from the Bureau of Labor Statistics. Scott noted that it was entertaining to watch the left react to the record lows in unemployment.